... the Temple was cleaned and prepared for the service after victory over Syrian Greeks . The whole piece is a replica to the Temple. The door opening framed with tablets with Ten Commandments. 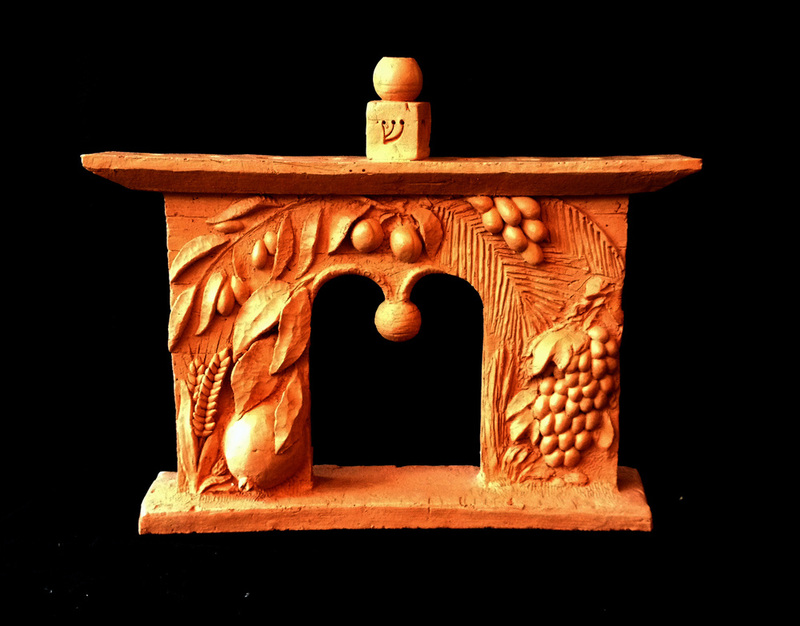 Above the opening are words from the Psalm 24 above “… be lifted up, eternal doors, so the glorious King may enter.” Other side of menorah is covered with fruits and plants which are abundant in the land of Israel. On the top is a dreidel with a candle holder.